His Mom and Dad own diners in the Connecticut, so he’s been around the food business his whole life. 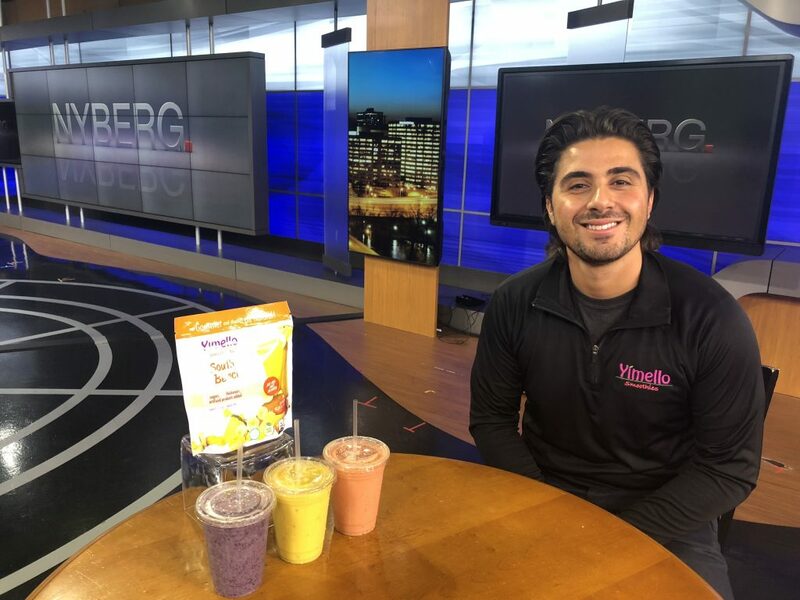 21-year old Kostas Sousoulas is a senior at Quinnipiac University but already has his own business with help from the school, called Yimello Smoothies. He has a food truck which serves these all natural fruit concoctions and just last week, (September 2018) the frozen fruit packets went into all but a handful of Big Y grocery stores. This 21-year-old from Branford, Connecticut is well on his way.